ACX Global has the unique ability to purchase one of the most diverse ranges of feed and forage products. This ability allows us to develop valuable relationships with many different hay dealers and hay brokers who need a strong partner in the forage export industry. We use our niche strategy and sourcing expertise to find the right products for the right customers. 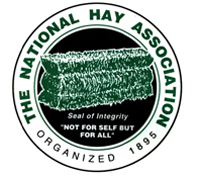 This allows us to purchase many types and grades of hay, straw, and other feed products. Our customers are always satisfied because we match your products with their needs.